No matter how many brain training games I play, at some point the inevitable happens and I am stuck in a messy situation where I cannot remember the password for a device or a website. Ofcourse, the website then wants to really know how bad my memory is by asking me a series of questions around my favorite high school teacher, the model of my dog and the color of my first car. If you ever find yourself in those situations, perhaps an icloud keychain can help serve as a northern star. 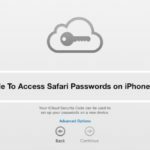 At its very basic level, the icloud keychain helps you access website logins and credit cards on all your apple devices. Did I say credit cards? Yup we will come to that one. As if I didn’t already have enough worries now, I want to see my credit cards on those clouds. What happens? Do I see my money raining from the clouds…Does it rain for me or other people waiting in the shadows. The keychain also provides you with additional powers for your online protection. When you set up the keychain, you can also choose to create a security code. 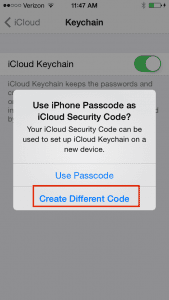 The code is then used to authorize additional devices to use your icloud keychain. 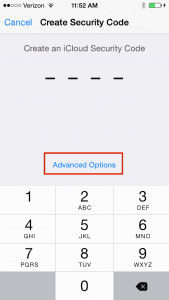 You can create a four digit code or a more complex code of your choice. Ofcourse “1234” is still a lousy choice. I know people that spend more time naming their wi-fi networks at home than the time they spend on naming their second kid. I’m sure you can do better than the “1234” for your codes. 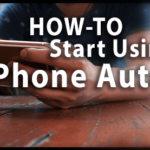 Now if you are ready to set it up, here are a few steps to consider. Open  > System Preferences and click the icloud icon. 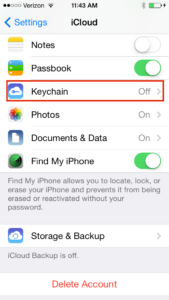 If you are using an iOS device then Tap on Settings > and Scroll down till you find icloud. Tap on it and scroll down and your will find the Keychain option. Tap on it and turn on your icloud keychain on the next step. You will be prompted to enter your Apple id. Please enter your id and press OK. On the iOS, it will prompt you by asking if you want to use your iphone password or create a different code. I recommend using a different password. Pick one that is easier to remember. Choose “Create Different Code”. This is a step that is important and we will spend a little time on it. You have three choices. 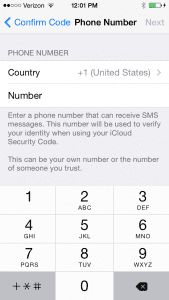 The second choice “Get a Random Security Code” lets Apple propose a random complex 24 digit code. Although powerful, but if you loose it Apple cannot recover it for you. 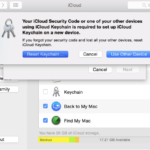 The third choice “ Don’t create Security code” is not that valuable either as you will not be able to use passwords stored in icloud if you lose all your devices that use icloud keychain. I suggest that you choose the first option and pick your own code. On this next screen, provide a phone number where Apple can text you the SMS messages, then click Done. 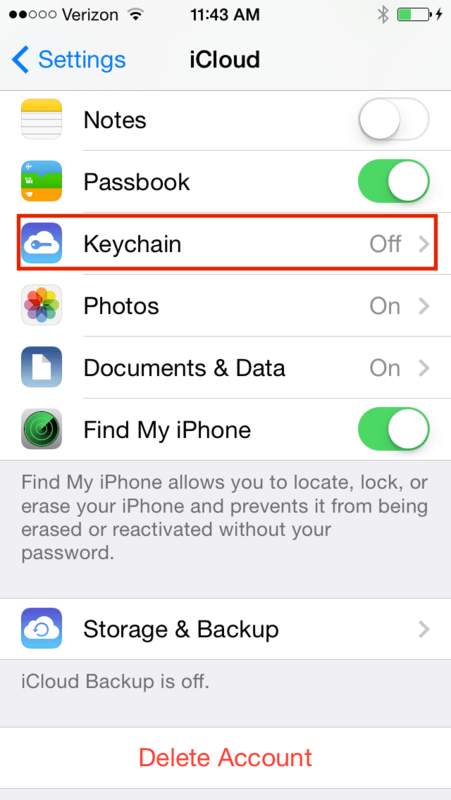 Keychain is now set up in your icloud preferences. 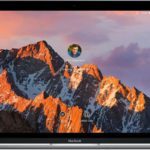 The Mac settings are essential same steps for icloud keychain. 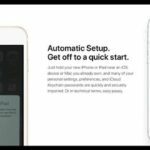 Now that you have set up your basic icloud keychain options, you can set up your Safari to use the preferences. 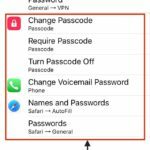 In Safari’s settings, click Auto fill and check “User names and passwords”. On the same screen, you also have the choice of setting your credit cards by following Autofill > Credit Cards. No matter how secured the system is, I like to keep my credit cards handy and not share it online. To each to his own, you can decide to share the ccard information by using this setting. The icloud keychain is an excellent product if you use Safari and want a way to manage all your userids and passwords. There are other apps as well out there that merit some research. One of these is a commonly used app called 1password. 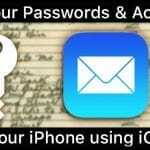 1password allows you to store more than passwords and credit cards. You can also check out Apple’s https://support.apple.com/en-us/HT204085 for additional information. I prefer to stick to the basic icloud keychain setup myself and don’t want my money to rain from the clouds anytime soon!